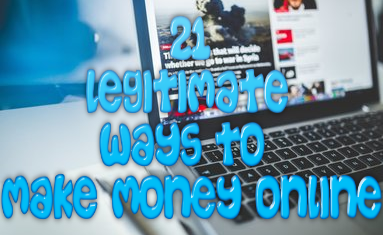 If you guys are anything like me, then the chance of you spending countless hours of the day trying to find legit ways to make real money online is just a normal part of your everyday life. This website is designed to make that process easier for you as I do all the work for you so you don’t have to. One of the ways that I came across to make real money online for free is the method of taking online surveys. But can you really make money taking online surveys? Or is it another one of those scams out there? Read on to find out. If this is a legitimate opportunity, where can you go to take these online surveys? Are there dependable sites out there to use? How much money can you make taking online surveys? Can you make a full-time income off of it? 1. Can You Really Make Real Money By Completing Surveys Online? You may be surprised to find that the answer to this question is a solid yes. You really can make money online taking surveys. However, before you get all excited about this prospect let me make one thing clear: you will not become a millionaire off of taking surveys. Any website that claims that they can help you make thousands by the end of the week is straight up lying to you and the only thing they want is your money. Stay away from websites like this. 2. If You Can Make Money With Surveys, How Much Of It Can You Make? This question is tough to answer because the answer will depend solely on how much each survey pays for your participation, if they allow you to participate in the first place. 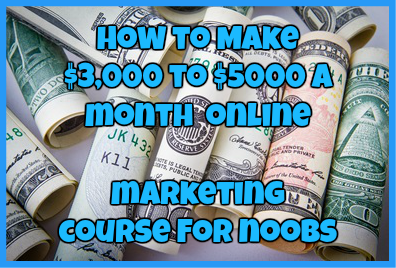 For example when I first tried this method out I only made about $25-$30 for one month! However, there are many people I know within the Wealthy Affiliate community that have made close to an extra $400 at the end of the month. What kind of information the survey is looking for in the first place. While you can make good money taking online surveys, don’t look to it as a means to pay your rent. This is just to get you what I like to call a little extra “fun money” on the side. You will not be able to make a full-time career out of this. 3. Is There Any way You Can Make A Full-Time Income Out Of This? As I have said before, no you will NOT make a fulltime income taking online surveys. That would just be way too easy. I’m sorry to say it but if you believe someone that claims to make nearly $10,000 just by taking surveys alone, you are about to be scammed. 4. What Are The Best Sites To Use To Take Online Surveys? I hope that by taking the time to read this information you now understand that while yes you can make some extra money taking a few surveys a month, you will not become rich off of it. I need to stress this: there are many get rich quick schemes out there that promise that you can make X amount of dollars by the end of the week. DON’T FALL FOR IT!When it comes to making money online it is never that easy. You need to work hard and persevere to seem some shred of money come your way. However, taking online surveys is just the first step. Have you made some extra “fun money” taking online surveys? If so what website did you use? Regardless I would love to hear from you! Just drop me a detailed comment below telling me everything there is to know about taking online surveys. One site that people have success with making money from surveys is http://www.surveyhomebeginnings.org. The results vary from person to person but people do make money off completing surveys. Thank you for this. I know there reputable survey sites out there but I have not personally found them all. This will help a lot of people out. Thanks again!